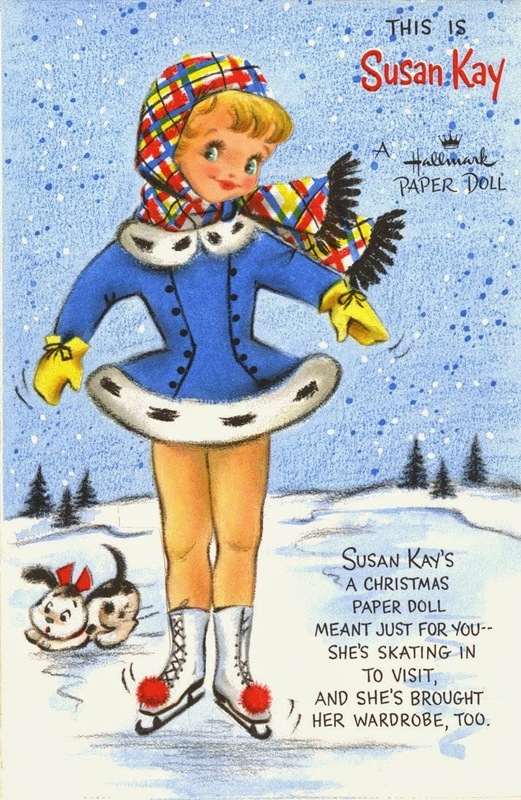 This one of many, of her Holiday paper doll cards issued by Hallmark. 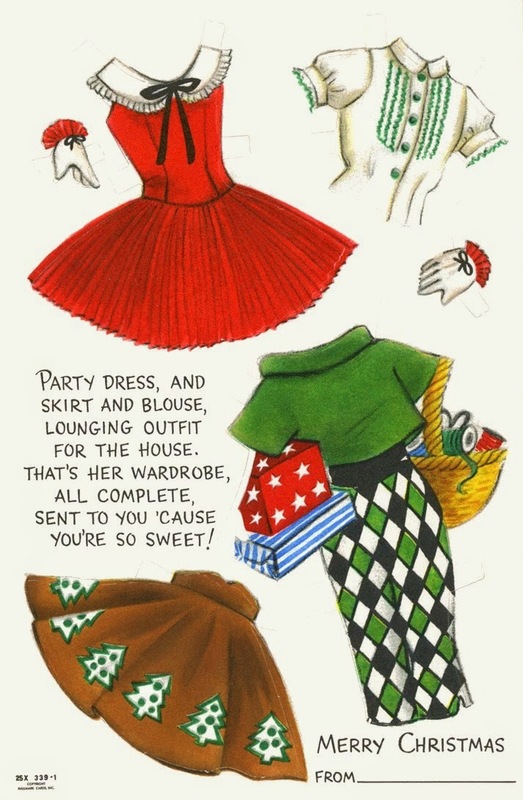 Filled with all kinds of vintage cuteness! That is so sweet! 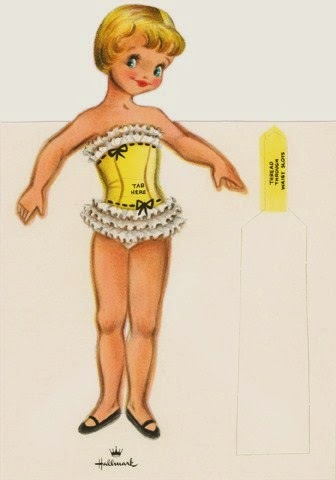 My sister and I used to love to play with the Betsy McCall paper dolls that came in the magazines. Does anyone even play with paper dolls any more? Oh my gosh these are cute! I love her in the skater outfit.